Happy Fall, Ya’ll! | Bloom. Unlike much of the rest of the world, I have not fully come to terms with the fact that it is Fall. Now, before you choke on your Pumpkin Spice Latte, let me say that I do love Fall. I love all of the seasons. And, yes, Fall is wonderful. 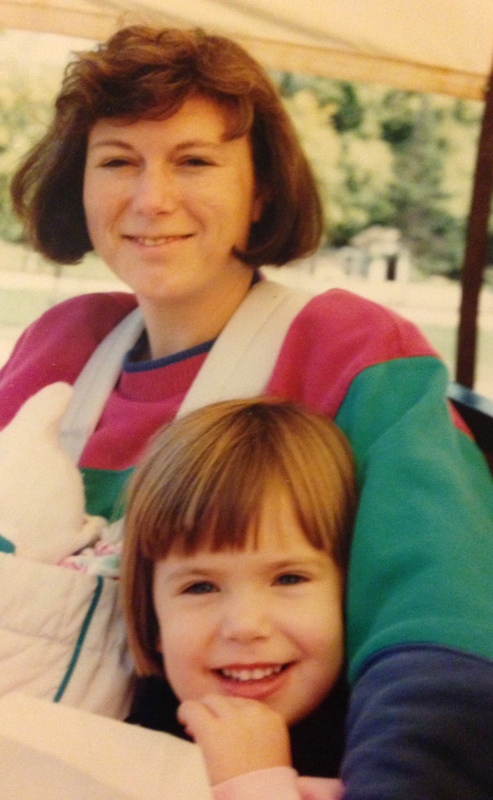 Football, chili, over-sized sweaters, colorful leaves… Love it. But, let me also remind you that, in Indiana, it was a muggy, eighty degrees all last week. Not exactly the kind of weather that makes you want to carve pumpkins or pick apples (… or have a PSL, for that matter), but it is time to welcome Autumn with open arms and give it a try. Recently, my parents were visiting and I was trying to figure out how to entertain the Ex-Chicago Yuppies in the country. I thought about the little apple orchard I drive passed nearly every day that is just around the corner from our home, but have never been to. So, I suggested a trip to the apple orchard. They took me to pick apples as a kid so I thought what better way to kick off fall and return the favor. 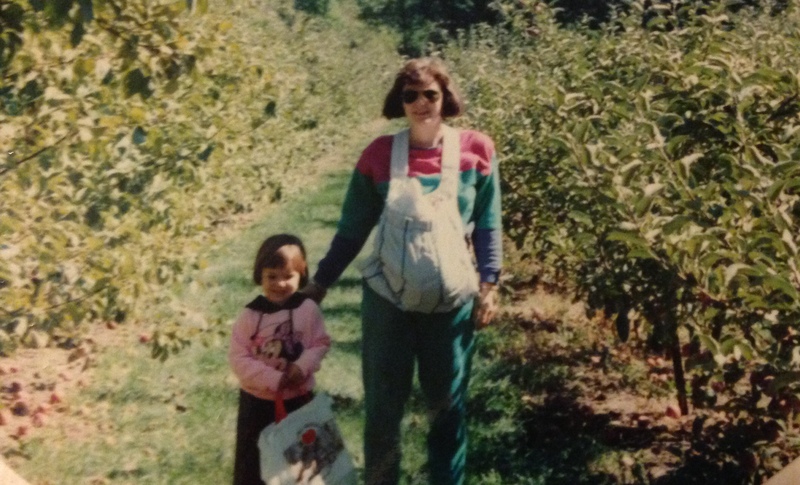 Some fun shots from a trip to an orchard just outside of Chicago in 1991. My little sister couldn’t have been much more than a month or two old. We took the whopping two minute drive to Farlow’s Orchard, drove up a gravel driveway past rows and rows of apple trees to a small barn with open doors. Inside it looked like a basic gift shop. 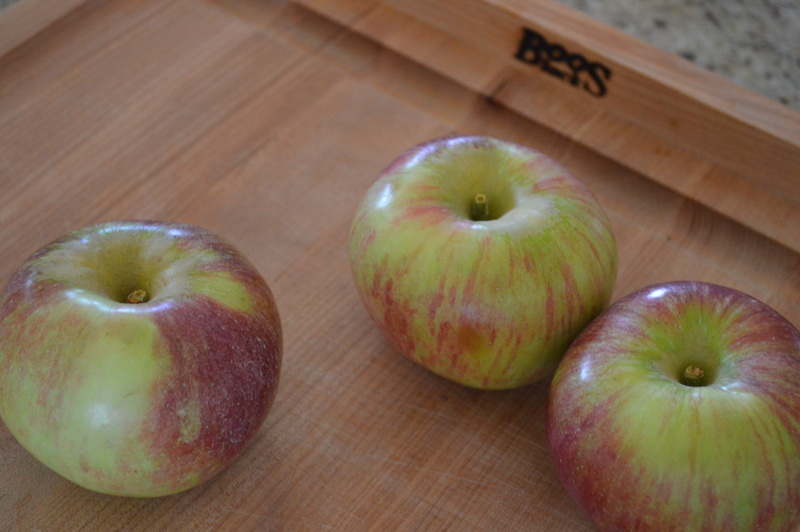 There were lots of different varieties of apples around the room that you could buy as a bushel, peck, or individually. There was also a cooler full of ciders and many apple desserts like apple dumplings or caramel covered apples. We were greeted by an older man in bib overalls. He explained they don’t have a “You-Pick” operation to preserve the orchard. He mentioned that Farlow’s is the oldest apple orchard in the state of Indiana. The orchard was created by his wife’s family three generations ago. 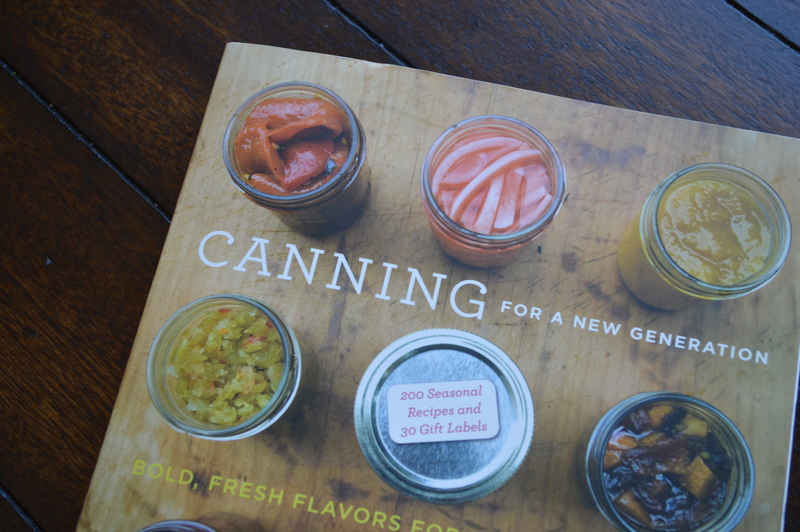 I knew I wanted to make something with the apples and had recently scanned through the Canning for a New Generation book. 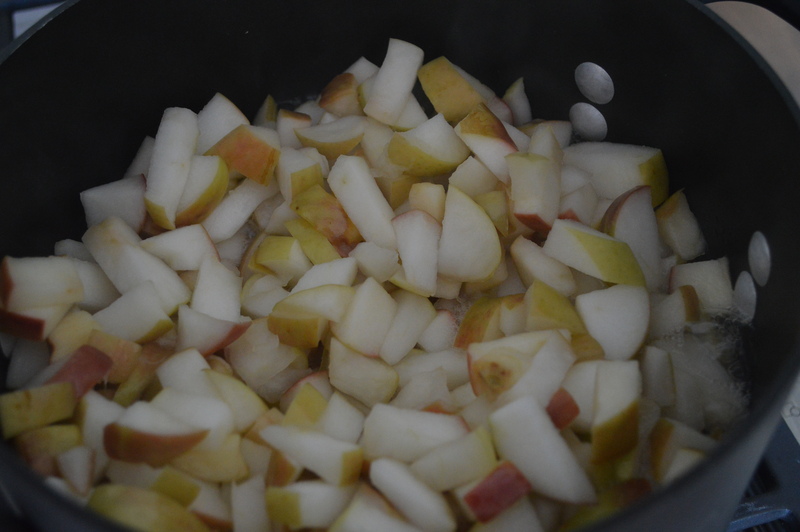 There was a recipe for applesauce that had caught my attention in the “Fall” chapter. I asked which apple was good for making apple sauce. He said lots of them were, but his wife’s favorite for apple sauce is the Cortland variety. Good enough for me. 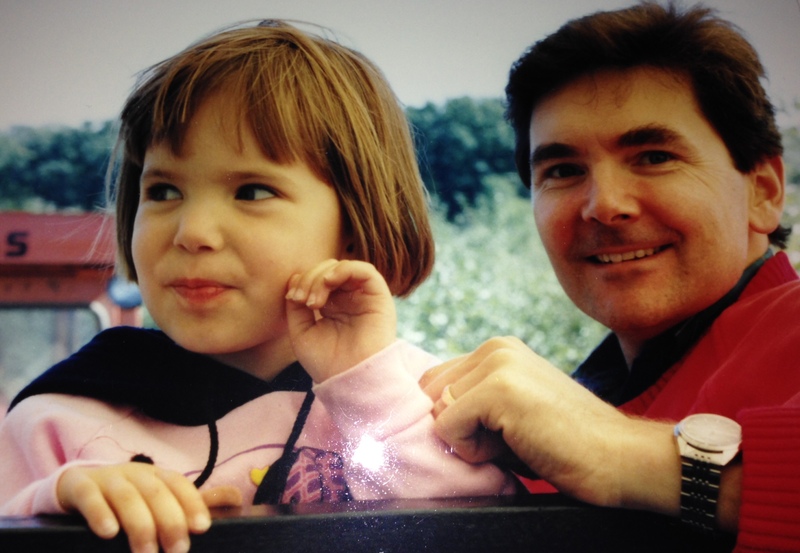 A woman who grew up on an apple orchard and continued to live there well into adulthood? She probably knows what’s best. My dad treated me to my apples and got himself an Apple Slush, basically an apple Slurpie. “Mmm, that’s good,” he said offering me a sip. It was. 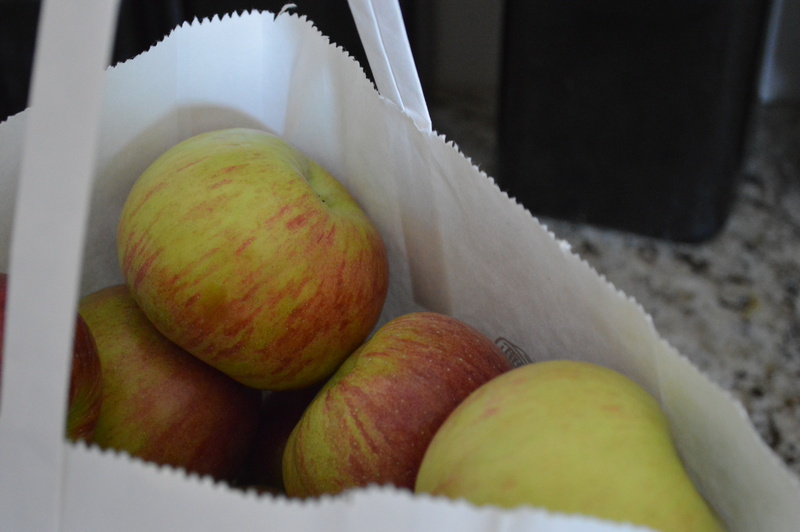 “They sell pretty well enough on their own,” the orchard owner bluntly replied. Welcome to the country, Dad. If it ain’t broke, don’t fix it. Another thing that clearly had not broken was the cash register. It looked like it was at least a hundred years old. It was a huge machine covered in ornate designs and complete with a big hand crank. The owner said he tried to use a computer once, but this worked better. Again, if it ain’t broke, don’t fix it. I took this mind set home with me and prepared to make applesauce. After cutting, boiling and mashing the apples I pushed them through an old, aluminum sieve with a wooden mortar that belonged to Adam’s grandmother. Adam found it in his childhood home after his parents moved out and had to hang onto it. It had still not been used since it was in our possession so I decided to give it a try. Oh my gosh. I discovered muscles in my forearms that I didn’t even know existed. It was crazy, hard work. 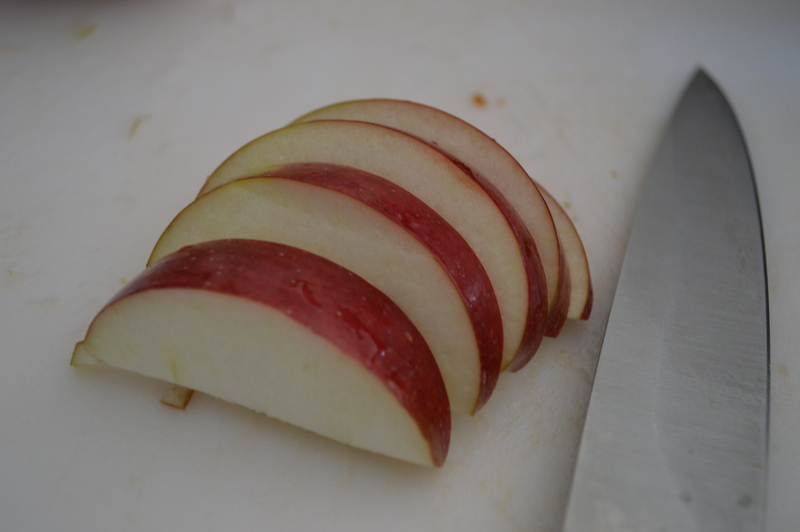 But, with my peck of apples (… Minus a few for snacking.) I made two jars of apple sauce. Heat on high, bring to a boil and stir occasionally. 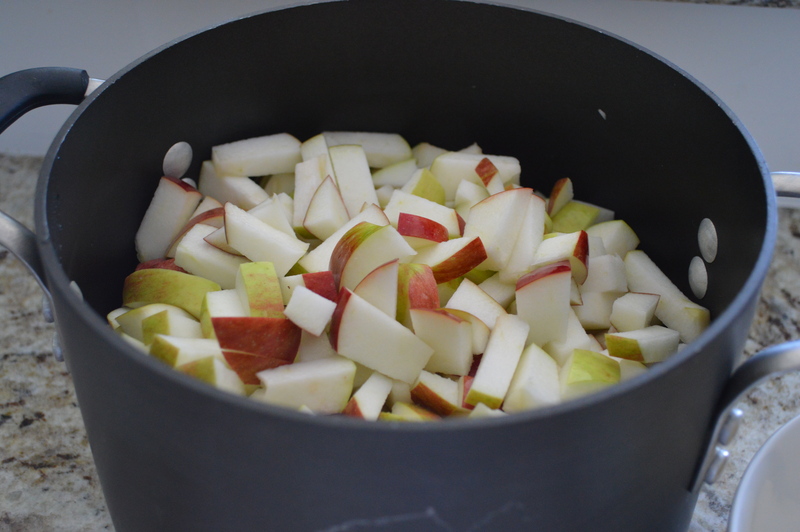 As the apples cook down, the peels will separate from the apple. Cook for about forty minutes. 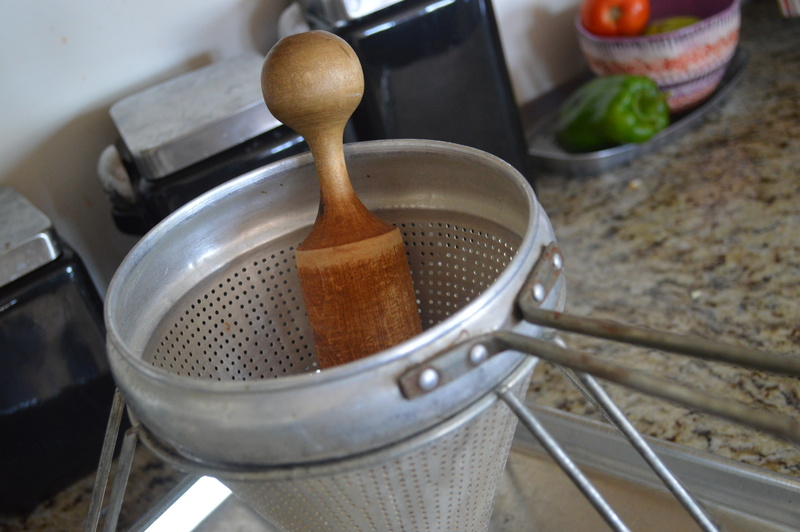 Pass through a food mill (or sieve). I had the puree fall onto a deep cookie sheet. You can use a bowl as well. 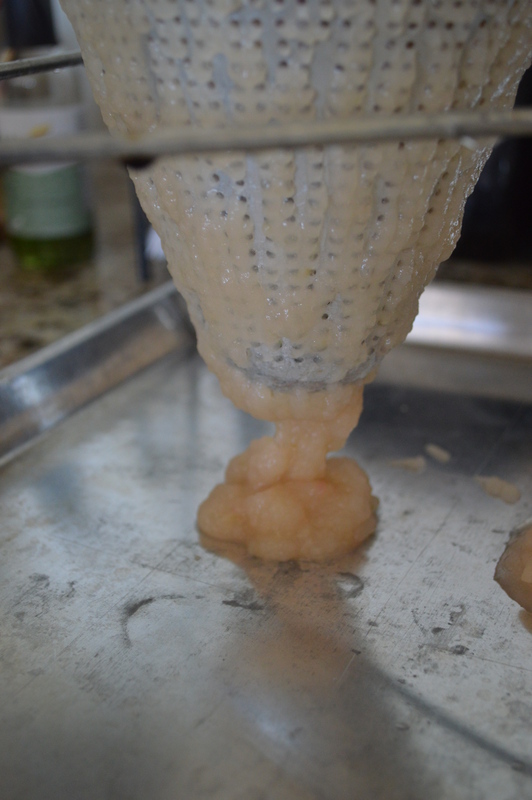 Bring puree to a boil for five minutes. Can, if you would like. I did not, just because I didn’t make that much. 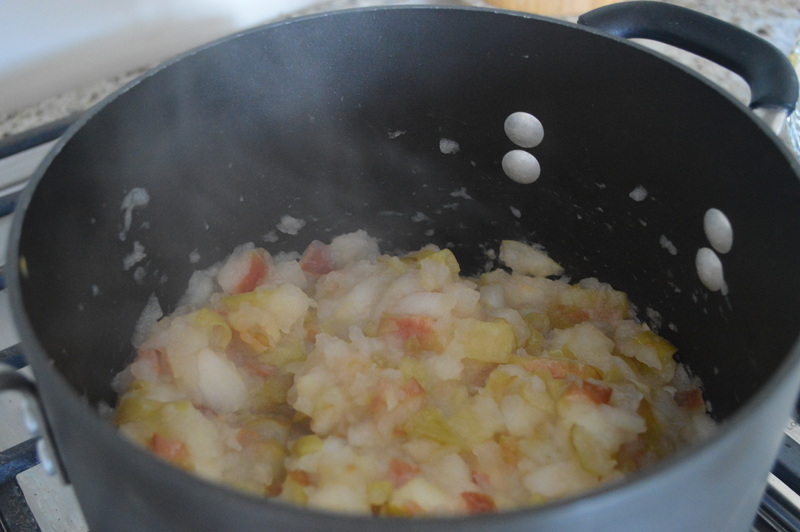 If you were to water bath can apple sauce, process the jar in the boiling water for fifteen minutes. 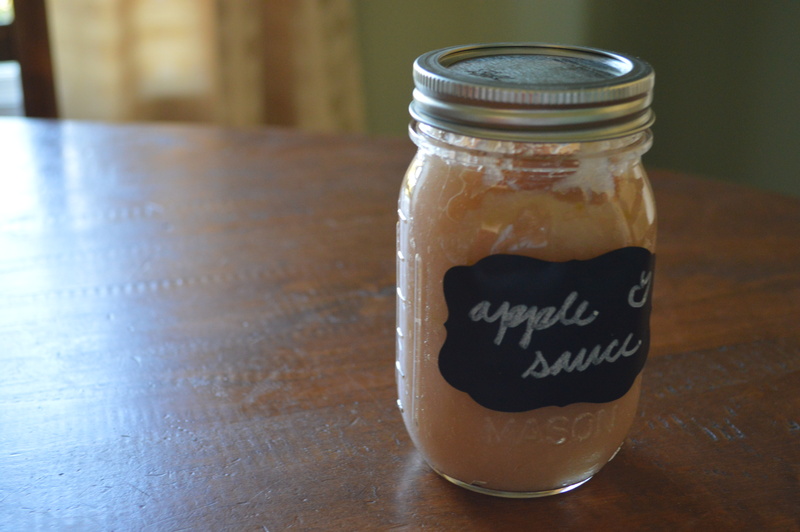 The apples and applesauce were a perfect first taste of fall. Now, time for chili… And maybe even a Pumpkin Spice Latte.